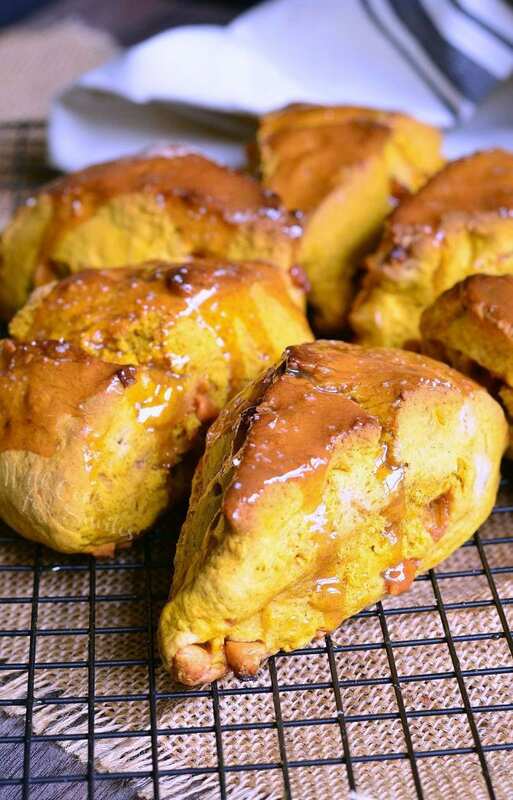 Scrumptious pumpkin scone recipes made with butterscotch chips inside and topped with gooey caramel and salt. 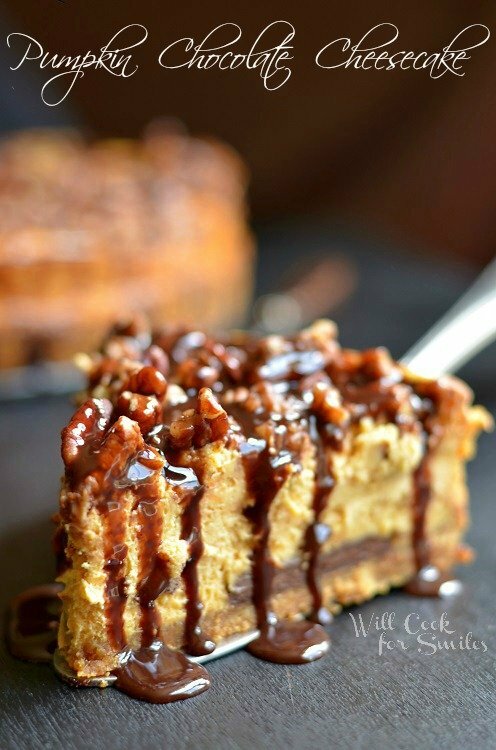 Perfect combination of sweet and salty in one delicious pumpkin treat. I don’t know about you but I can’t wait any longer to start sharing pumpkin treats. I sure hope you are ready to start making some pumpkin goodies. Want to know a secret? I always make pumpkin stuff throughout the year. It’s not really a secret but more of a confession. 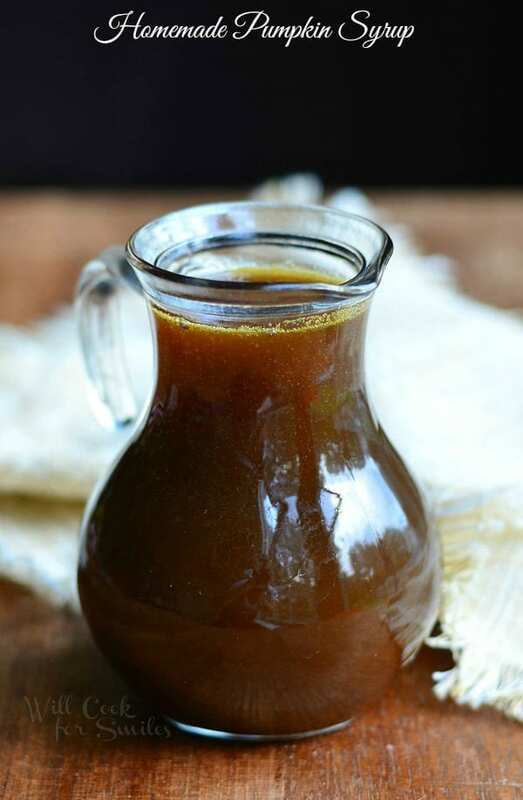 I love pumpkin and I’ve loved cooking with pumpkin since I was a kid. Even though fall is the booming pumpkin season, I always save a few cans as well as some fresh pumpkin puree in the freezer to use throughout the year. 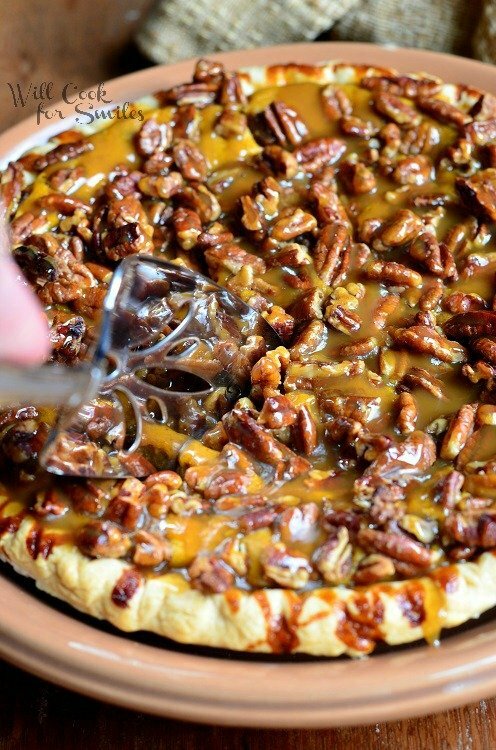 Sometimes, we just crave something pumpkin, you know?! My love for cooking and baking with pumpkin could be the reason I wrote The Pumpkin Lover’s Cookbook. I can’t believe that my book came out this week! It’s so exciting and at the same time, so scary. I hope you’ll check it out on my site! 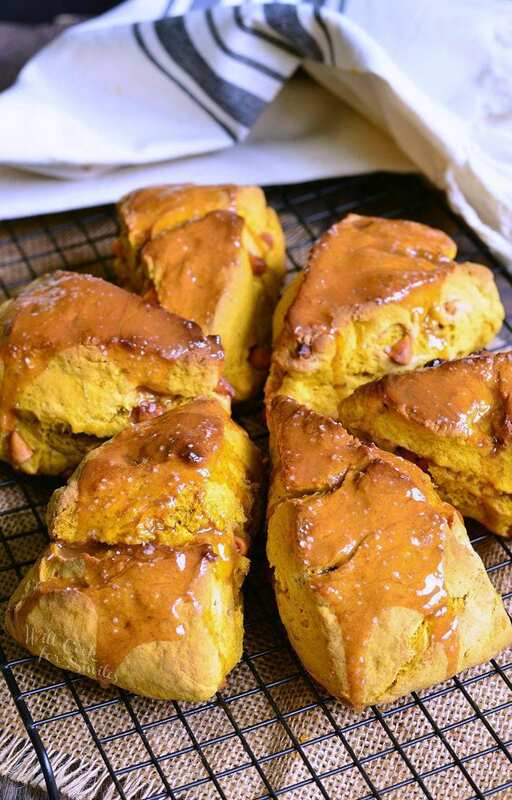 These pumpkin scone recipe is not in the book but they were my first pumpkin recipe of this season. Preheat the oven to 400. Line a baking sheet with parchment paper and lightly grease it. Sift flour, baking powder, baking soda and spices into the bowl of an electric mixer. Chop cold butter into small slices and add it to dry ingredients. Mix dry ingredients and butter on low speed until it looks like coarse crumbs. While flour and butter are mixing, whisk together pumpkin puree, vanilla and buttermilk. Slowly, add pumpkin mixture to flour mixture while still mixing on low speed. Add butterscotch chips and mix until just incorporated. Take the dough out onto a lightly floured surface. Knead the dough a few times (15-20 seconds), until smooth. Pat the dough into a circle that is about 1½ inches thick in the center but thinner on the outer edge. Cut the circle like a pie, into 8 pieces. You can brush the scones lightly with some melted butter. Bake for 20-24 minutes, until golden brown. 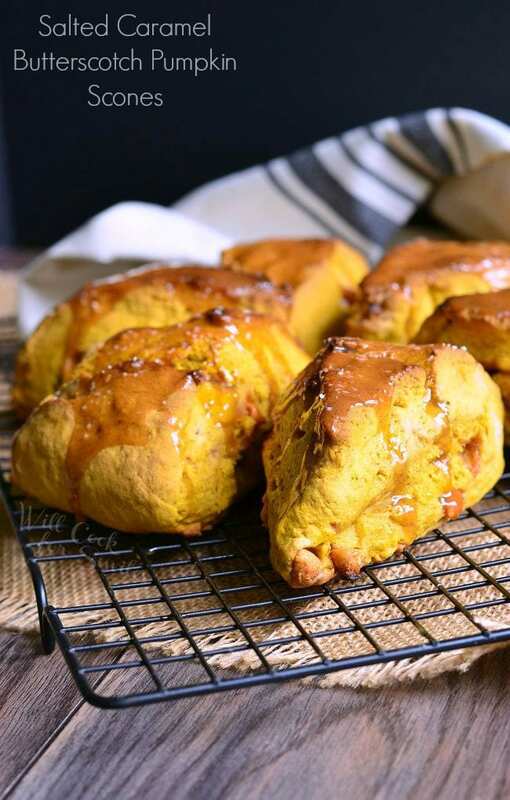 Let scones cool on a wire rack and spoon some caramel over the top of each scone, letting it spread all over the scone. Sprinkle some coarse salt over each scone. Hey friends! I just got Will Cook For Smiles new book in the mail and it is delicious! 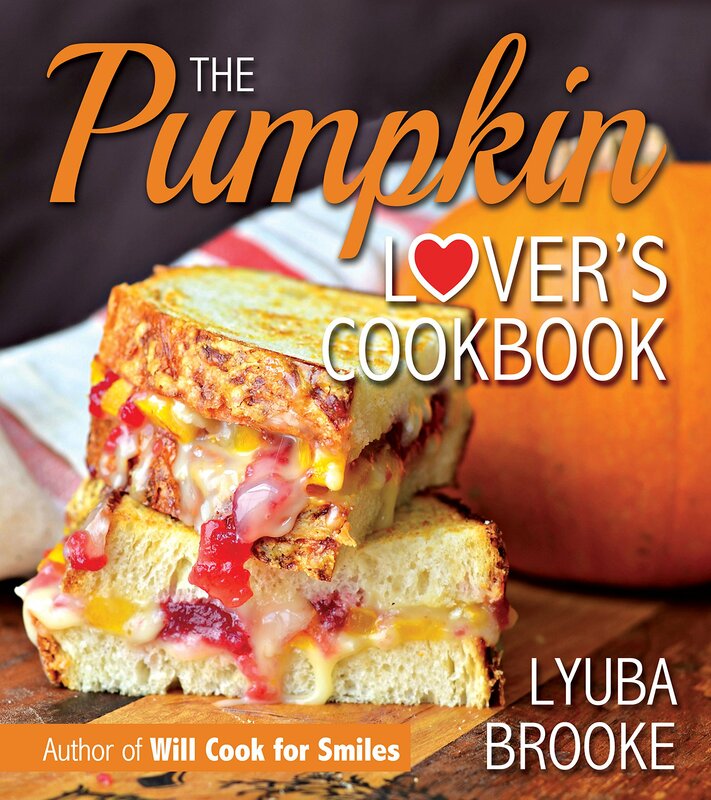 I love all Lyuba’s recipes but I have to say I have a thing for pumpkin and with Fall coming I had to get the book!Check it out! You can buy it HERE!